No other price comparison website provides more prices. Historically, and similarly to classic car insurance, a motorcycle must have been registered before 1978 to be determined as a classic. However, these days many insurers offer modern-classic policies for bikes built between 1983 and 1998. You can apply to stop paying vehicle tax if it was built before 1978. 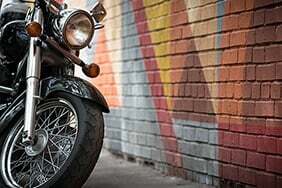 If you’re buying a classic motorcycle from abroad, you’ll need to register your bike through the DVLA as an imported bike. More information on imported bikes can be found in our guide. Fully comprehensive cover - This level of cover will be of the most use when it comes to carrying out repairs on your bike after an accident. It offers the highest level of protection, and means an insurer will help arrange and pay for repairs to your classic bike if it is damaged. You can read more about the various levels of cover in our guide. 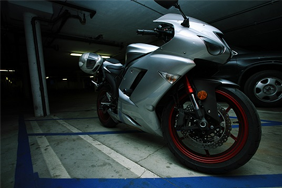 Agreed values – Most classic motorcycle insurance policies will allow you to set and agree a value for your bike when the policy starts. Since vintage and classic bike values can vary depending on model, rarity and condition, this is an important figure to agree before the policy starts. Limited mileage discount – Many classic bikes are kept on display or as projects for much of the year. If you don’t ride your bike often, you may find some insurers willing to offer discounted premiums. You’ll just need to make sure you don’t exceed any mileage limits you agree to as this may lead to additional charges later on. 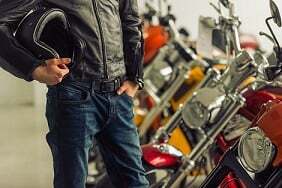 What type of motorbike suits you? Taking your motorbike on holiday? Discover the top 10 European destinations to explore by motorbike. Confused.com motorbike insurance is administered by Vast Visibility Ltd who are authorised and regulated by the Financial Conduct Authority under firm reference number 566973. Vast Visibility Ltd is registered in England & Wales No. 05866769 at office: 8 Princes Parade, Liverpool, L3 1DL.